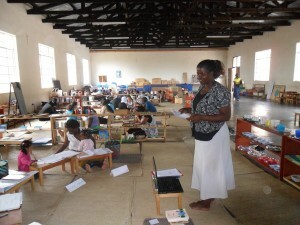 Investing in the children of Malawi, begins with investing in their teachers. Here are some pictures highlighting what we have been up to in teacher training through our Montessori week-long internship program and year-long diploma program. 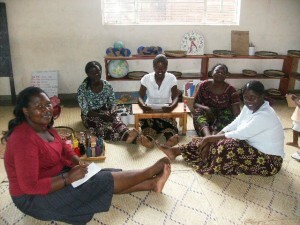 These women absolutely inspire me with their commitment to and love for the children! And they love to laugh! Diploma students presenting about Dr. Maria Montessori in our Foundations of Montessori Education Course. They wrote seven papers regarding the fundamental principles of Montessori education. Their work was outstanding! 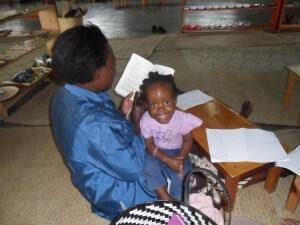 Jane Kabambe reading Maria Montessori-Her Life and Work, with our youngest diploma candidate, her daughter, Monica. OUr children are loving all the practice our diploma candidates need to do! Being a training center, expands what is possible for our students! 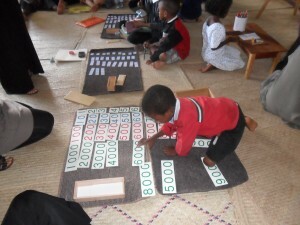 Montessori Sensorial= Developing a mathematical mind! 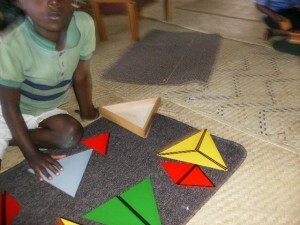 The constructive triangles allow children to experience geometry in a concrete way! Working on our teaching albums! Color, color, practice, practice, create, create, new jobs! These women are raising the bar for me! To keep up with them is a lovely challenge! One week in February, we had 13 interns for a practical week of teaching! It was beautiful! Our children were enjoying demonstrating their skill and knowledge! 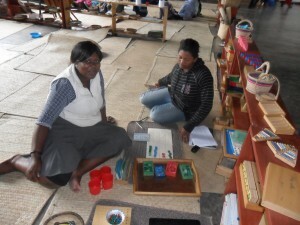 This July will mark Tisungane Howa's (left) third year in Montessori education. 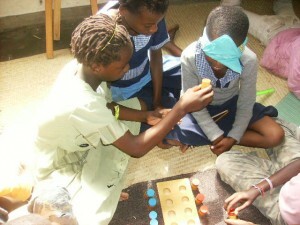 She is currently in our Montessori year-long diploma program. 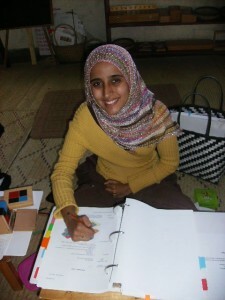 She is our Director of our School and Teacher Training Center. She is an extraordinary trainer. 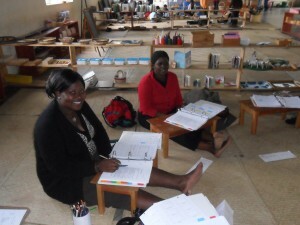 She spends the time to train teachers one to one with great love, patience and excellence. Thank you Tisu! We love you! « LOVE CAME DOWN AND RESCUED US!